The media is the voice of the people. They show the public what is happening in their surroundings and tackle all issues that affect society – big or small. From politics to entertainment, the media gives everyone a glimpse of what’s happening behind-the-scenes in every event and keeps us up to date on the past and current issues. Traditional media dominated the world in yesteryears. But as the world evolves and our technology improves, other media outlets have sprouted that have even a wider reach than that of conventional. Nowadays, the media makes use of social media and the Internet in reaching out to more people and they can be accessed 24/7, which is unheard of in the past. Facebook and Mozilla are among the companies and organizations launching a US$14 million fund to promote news literacy and increase trust in journalism. The nonprofit, called the News Integrity Initiative, will be based at theCity University of New York. It will run as an independent project of the CUNY Graduate School of Journalism. Others contributing to the fund include Craigslist founder Craig Newmark and the Ford Foundation. Recent polls show the public’s trust in the news industry at a low. False news and misinformation, often masquerading as trustworthy news and spreading on social media, has gained a lot of attention since the 2016U.S. presidential election. Companies like Facebook are trying to address the issue. Media not only tackles local issues but even global ones too. The world keeps getting smaller because the web bridges the distance among people. The issues get interconnected as well and may even unite nations against a common enemy: terrorists, for instance. U.S. media outlets say terrorist groups have been testing explosive devices that can be hidden in a laptop and that can evade some commonly used airport security screening methods. CNN and CBS said Friday that U.S. intelligence officials had told them militants with al-Qaida and Islamic State have been developing innovative ways to plant explosives in electronic devices. The news organizations said the new intelligence suggested that the terror groups have obtained sophisticated airport security equipment to test how to conceal the explosives in order to board a plane. They said the intelligence played a significant role in the Trump administration’s recent decision to prohibit travelers flying out of 10 airports in eight countries in the Middle East and Africa from carrying laptops and other electronic equipment onboard in the cabin area. Without the media, the public will be lost on issues of national and global interest. They give us context on the moves and decision of the state. And if you want some entertainment, they got that covered too. But when it comes to U.S. news these days, it’s hard to decipher which one is legit and which one is for leisure as Donald Trump as president has definitely changed things a lot. Before most people are out of bed, Donald Trump is watching cable news. With Twitter app at the ready, the man who condemns the media as “the enemy of the people” may be the most voracious consumer of news in modern presidential history. Trump usually rises before 6 a.m. and first watches TV in the residence before later moving to a small dining room in the West Wing. A short time later, he’s given a stack of newspapers — including The New York Times, The Wall Street Journal, The Financial Times, The Washington Post and, long his favorite, The New York Post — as well as pile of printed articles from other sources including conservative online outlets like Breitbart News. The TVs stay on all day. The president often checks in at lunch and again in the evening, when he retires to the residence, cellphone in hand. It is a central paradox of the Trump presidency. Despite his fervent media criticism, Trump is a faithful newspaper reader who enjoys jousting with reporters, an avid cable TV news viewer who frequently live-tweets what he’s watching, and a reader of websites that have been illuminated by his presidential spotlight, showcasing the at-times conspiratorial corners of the internet. No recent president has been so public about his interest in his media coverage, nor seemed so willing to mobilize the powers of the federal government based on a media report that he has just read, heard or watched. In fact, the power of Trump’s media diet is so potent that White House staffers have, to varying degrees of success, tried to limit his television watching and control some of what he reads. 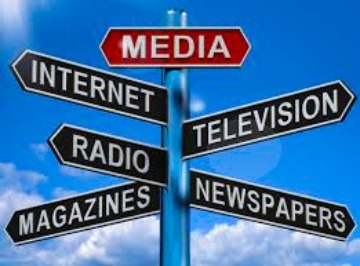 It is true indeed that the media is still a powerful and influential entity in the world today. World leaders seek the media’s attention when they run for office and still make use of them when reaching out to the people when in office. Even though at times many complain that the media may be biased but still they show the people the different sides to a story, so we have an idea what’s happening to the world at large.